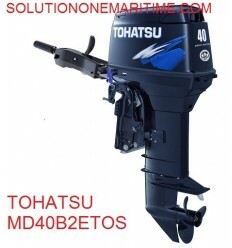 Tohatsu Outboards 40 HP There are 6 products. Tohatsu 40 HP 2-STK 2018 DFI Tiller Electric Power Trim Short Shaft [MD40B2ETOS] Not shippable. 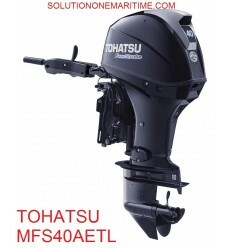 The Tohatsu 40hp TLDI® is one of the smallest engines available with air-assisted direct injection technology. This outboard has all of the benefits of new and improved 21st century technology without compromising power or performance. Tohatsu 40 HP 2-STK 2018 DFI Tiller Electric Power Trim Long Shaft [MD40B2ETOL] Not shippable. 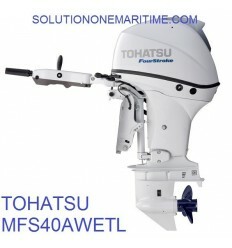 The Tohatsu 40hp TLDI® is one of the smallest engines available with air-assisted direct injection technology. This outboard has all of the benefits of new and improved 21st century technology without compromising power or performance.